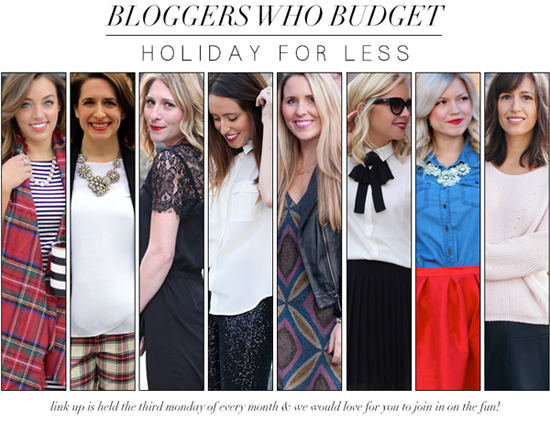 It's time for another installment of Bloggers Who Budget! Every part of my life is focused on my budget - including holiday shopping, & festive party wear! These sequin leggings are under $30 & are a fun update for any holiday gathering from now until the New Year! Are you into budgets too? Be sure to link up your Holiday Look featuring an fabulous item for under $75. Grab the button here, & link up below!! Shop Sequin leggings below: Also from a boutique here. Get ready for the next Bloggers Who Budget post. January will be Winter for Less ($75 and under), and February's link up party is featuring Leopard for Less ($75 and under)! Those photos are amazing. And that blouse, I need. Love thisssss! Those leggings looks amazing on you! This outfit is too cute and I love the touch of the emerald earrings! I got some gold sequin leggings to wear to my work holiday party this Friday - I'm so excited to wear them!! I am obsessed with sequin pants/leggings right now. So festive! Love! I am obssesses with sequin leggings/pants right now. So festive! So cheap but so good! Really suits you, love sequins and this is a really different take on it. Those pants are everything and then some. I may be a little jealous that they don't come in boy sizes. Great outfit! Those leggings are amazing. I've been looking for a similar pair. Check out my blog for a chance to win the ultimate holiday accessory. the outfit is amazing love the pants! beautiful! Oh my goodness, these pants are stunning! I love the simple blouse you chose. 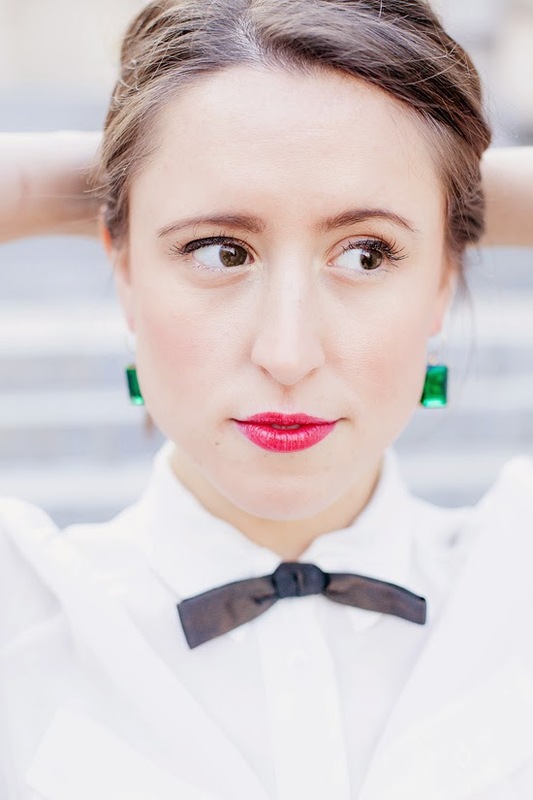 And the green earrings add a perfect pop of colour! i love those pants!!!! so fun!! It's nuts how much I love this! I almost got sequin pants for NYE last year but they were kinda scratchy and I new I would get cranky by the end of that long night. I'm still holding out hope for this year. Those are the kind of pants that you buy, then figure out every occasion possible to wear them! Love that you did a menswear inspired look with the pop of green. Love this look! Those pants are so cool! I love your lip color too! No lie, I immediately started shopping for sequin leggings after this post! You look so fab. These sequin pants look amazing on you Jessica!